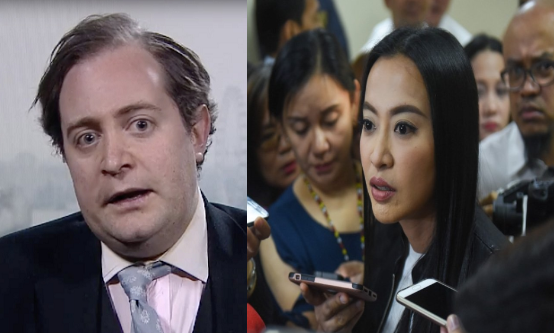 Adam Garrie of Eurasia Future posted another political blog pertaining to Mocha Uson’s resignation as Assistant Secretary of Presidential Communications Operations Office. According to Garrie, no less than 24 hours of Mocha’s announcement of stepping down her governmental position, the “dilawans” have expressed list of contempt pointed directly towards Uson. Garrie believes that Mocha has a modernized political mentality which the old men and women critics from the Liberal Party refuse to adapt. She is then the representation of politic’s new form of opinion makers in the country. He then claims that their success in putting Mocha out of the latter’s official position does not clearly impose the end of a career but just the beginning of an empowered and freer Uson to be franker in expressing her viewpoints as she no longer represents a government entity. One of Mocha’s advocacy is the ending of Imperial Manila where the wealth of the country is being siphoned out and promote federalism to strengthen every region in the Philippines and benefit on their own resource. Also, the fierce commentator and blogger dedicated her time to explore the possibility of parliamentary-federal democracy in replacement of our present congressional system. Garrie saw Mocha’s interview with Orion Perez discussing on the benefits of the parliamentary system. And for him, it is an affirmation that Mocha has a wide platform to reach those important voices in the political arena and provide them the stage they so deserve. The director of Eurasia Future then believes in Mocha’s presence outside the government’s shadow is more important than being in a government position. He thinks that as an avid supporter of the President, Mocha has already changed and opened the minds of millions on different matters and issues each day. Mocha is the voice of the masses and stepping down on her position is just the beginning of her career.